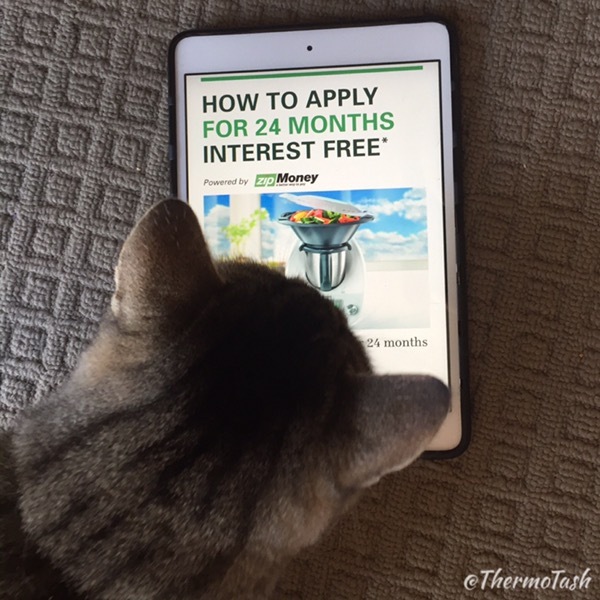 Thermomix have announced that 24 months interest free has been extended until 11 July 2016! zipMoney uses technology that delivers higher approval levels then credit card companies. With 3 simple steps to start the process and approval in minutes it is so easy to take advantage of the 24 months interest free offer. The first thing you will need to do is enter your consultant’s number. I have given this Zip 24 months interest free flyer to my customers with my consultant number on it for easy reference. You can increase the order total amount if you are purchasing other Thermomix cookbooks or accessories or you can leave it at $2089 and click on proceed. If you are taking advantage of the very popular BBL host reward then you will need to include this in the total amount. Click here for more information about the BBL host reward. The next screen with confirm your consultant’s name so you can go back if it’s wrong or click to continue. Then you can go through the application process which is really easy. To confirm you earn more than $300 a week you can either do a one time connection to your bank or you can upload a recent bank statement. Once your application is complete you will receive instant notification of the outcome. There is a one off establishment fee of $25 and a monthly account service fee of $4.95. 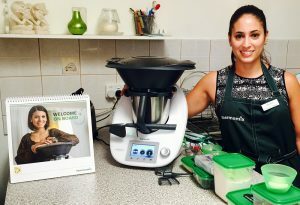 To repay the cost of the Thermomix within 24 months, the weekly repayments are $21.50 and monthly repayments are $93.05 which includes the establishment fee and the monthly account service fees. Any outstanding balance at the end of the interest free period will be charged interest at the standard annual percentage rate, currently 19.9%. If you pay off your Thermomix before the 24 months interest free period is over there are no early exit fees. How great is that?! For more information about the 24 months interest free offer click here where you will also find a link to be contacted by a Thermomix consultant. If you are in the Perth metro area and would like to ask me any questions please comment below or contact me here.